I am pleased to submit to you the 2001 Annual Report of the Assembly Standing Committee on Local Governments. This report describes the legislative actions and major issues considered by the Committee, and sets forth our goals for continued legislative support of municipalities and their residents throughout the State. As you well know, this has been an exceptionally difficult year for the people of New York. With your assistance, the Committee will continue to focus on the needs of local governments as well as the emergency service community and provide assistance during this difficult time. In addition, the Committee will continue its efforts to ensure that emergency communication systems operate at peak effectiveness. I share with you an appreciation of the role local governments play in providing essential services to the residents of this State and acknowledge your continuing support and leadership in ensuring that the Local Governments Committee continues to address the needs of the State's local governments. The Assembly Standing Committee on Local Governments considers the legislative needs of New York State's local governments, which includes counties, cities, towns, villages, school districts, fire districts, and various other special districts. 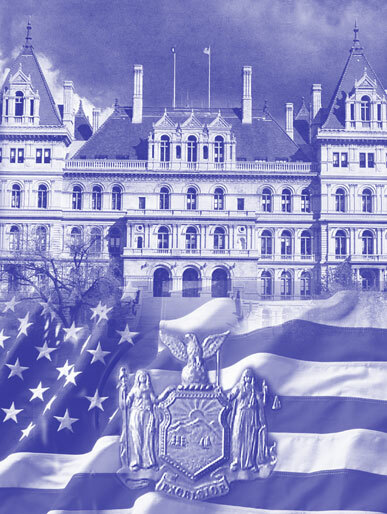 The Committee's goal is to monitor the problems of local governments, to develop legislative remedies to these problems, and to research new proposals that will enable local governments to better serve the needs of New York State. The Committee is concerned with the enactment of laws that will further improve local governments' ability to address their unique problems, as well as prohibiting the enactment of laws that would impede local governments in their delivery of local services. New York State statutes affected by legislation before the committee include: the General Municipal, Municipal Home Rule, Local Finance, County, Town, Village, Volunteer Firefighters' Benefit and Volunteer Ambulance Workers' Benefit Laws. Since the powers of local governments are so broad, the Committee's concerns range widely - from the general area of municipal finance, to the creation of a special district. Home rule, or "special legislation," is also addressed by the Committee. These measures concern problems of specific local governments and apply to a particular jurisdiction. For example, a home rule bill might permit the establishment of a highway improvement district for a town to remedy traffic capacity or construction problems. Through the use of special legislation to solve individual local needs, the Committee has helped to resolve hundreds of unique problems and enabled local governments to better serve their citizens. On August 2 of this year, the Legislature adopted an austere State budget designed to set the stage for three-way negotiations. The $79.6 billion baseline budget provided a complete, solid and balanced framework for meeting all State financial obligations and responsibilities for the entire fiscal year. This baseline budget was intended to incorporate agreed-upon spending items and stabilize State finances for the current fiscal year, while encouraging the Governor to engage in good-faith negotiations to ultimately achieve a more forward-looking budget. Unfortunately, the Governor declined to engage in discussion with the Legislature and as a result the Assembly was unable to obtain changes designed to improve the fiscal well-being of municipalities and provide better quality of life for New Yorkers. The Assembly proposed an increase of four percent, or $803,787,526, in General Purpose Local Government Aid (Revenue Sharing) to all cities, towns and villages across the State. This represented an increase of $22,465,526 in Revenue Sharing for local governments, over the $781,322,000 proposed by the Executive. As a result of the Governor's unwillingness to participate with the Legislature in budget discussions, this increase was not enacted and Revenue Sharing was held at the prior year's funding level of $781,322,000. The original Revenue Sharing Program, as enacted by the New York State Legislature in 1979, provided that eight percent of total State tax collections would flow to municipalities each year. The original statutory distribution of state tax receipts was based on a formula including population, full value per capita and personal income. However since 1980, the funding level has been based on a fixed amount of money appropriated during the annual budget process. The program is comprised of four components: (1) Per Capita/Revenue Sharing Aid; (2) Special, City, Town, and Village Aid; (3) Excess Aid; and (4) Needs Based Aid. Funding for the State's Revenue Sharing Program peaked in 1988-89, when it provided $1.023 billion to all counties, cities, towns and villages in New York. Since State Fiscal Year 1988-89, the amount of money provided through the Revenue Sharing Program had been reduced by $472.8 million or 46 percent. Recognizing the need for additional funding, the Assembly has proposed significant increases to Revenue Sharing in its budget resolutions, and has successfully achieved a cumulative increase of almost 10 percent to cities, towns and villages, since 1994. This aid program consolidated three other programs into one: Additional Aid to Localities; Special Financial Aid to Certain Municipalities; and Targeted Aid. Funding is distributed to specific municipalities with demonstrated need. For fiscal year 2001-2002 the Assembly recommended funding of $189,034,002, which maintained level funding for the prior year recipients. In the present fiscal year the following municipalities received funding: Albany, Amsterdam, Auburn, Batavia, Beacon, Binghamton, Canandaigua, Cohoes, Corning, Cortland, Dunkirk, Elmira, Fulton, Glen Cove, Gloversville, Hornell, Hudson, Jamestown, Johnstown, Kingston, Lackawanna, Lockport, Long Beach, Mechanicville, Middletown, Mount Vernon, New Rochelle, Newburgh, Niagara Falls, North Tonawanda, Norwich, Ogdensburg, Olean, Oneida, Oneonta, Oswego, Peekskill, Plattsburgh, Port Jervis, Poughkeepsie, Rensselaer, Rochester, Rome, Salamanca, Schenectady, Syracuse, Tonawanda, Troy, Utica, Watertown, White Plains, and Yonkers. The Assembly also recommended including an additional $58 million in Additional Supplemental Municipal Aid to be targeted to municipalities with demonstrated need. Unfortunately, as a result of the Governor's unwillingness to participate with the Legislature in budget discussions, this increase was not enacted and Supplemental Municipal Aid was held at the prior year's funding level of $189,034,002. In 1975, the Legislature authorized the Emergency Financial Aid to Certain Cities Act (Overburden Aid) to provide special assistance to cities with populations of at least 100,000 but less than one million that had to finance a school system as well as general city government, and were at, or near their constitutional tax limits (Albany, Buffalo, Rochester, Syracuse and Yonkers). These municipalities have a State constitutional real property tax limit of two percent, which restricts the amount of revenue they can raise to support both municipal services and city school districts. This year the Assembly recommended funding of $26,474,000, which maintained funding at the same level as the previous fiscal year. The baseline budget reflected the Assembly's funding request and contained $26,474,000 in funding. This unrestricted supplemental State aid program called Emergency Financial Assistance to Eligible Municipalities was initiated to provide additional aid to Buffalo, Niagara Falls, Yonkers and Erie County. The cities of Syracuse and Rochester were subsequently added to the list of municipalities receiving aid. Since 1980, this program has assisted localities demonstrating financial need and facing fiscal difficulties due to constitutional tax limitations. The baseline budget reflected the Assembly's funding request and contained $20,814,000 in funding. This unrestricted aid program, called Aid to Counties, was enacted in 2000, to provide counties outside New York City with additional financial aid. Aid distribution is outlined in Section 54-k of the State Finance Law and specifies distribution based on population. For fiscal year 2001-2002, the Assembly recommended $17 million in funding, an increase of $12 million above the appropriation of $5 million for fiscal year 2000-2001, which reflected the two-year funding level agreed to for the program. The baseline budget maintained the Assembly's recommended funding level of $17 million. The Federal Tax Reform Act of 1986 imposes a ceiling on the volume of private activity and certain other bonds that may be issued in a state in any given year. It also establishes an allocation formula which provides 50 percent of the Statewide Industrial Development Bond (IDB) cap to State agencies and the remaining 50 percent to local governments. Federal law permitted temporary modification of this allocation formula by gubernatorial executive order until December 31, 1987. Following this sunset, the Federal Act permitted the State to establish an alternative formula for allocation in statute. The system proposed in this bill, implemented in 2000, has worked well and operates smoothly and efficiently. Issuers around the State are familiar with the process, meaning that the statutory continuation of this approach will provide the least disruptive, most flexible and least costly alternative for the allocation of the State's bond volume. This legislation strongly resembles the legislation passed in 2000, which originally established a 1/3 Industrial Development Agencies (IDA); 1/3 State agencies; and 1/3 statewide bond reserve, for use by both State and local agencies. However, this year's legislation has been modified to take into account the increased per person dollar allocation of bonding authority. The federal government provides an allocation of tax free bonding authority based on a certain dollar value per person - in 2000 that value was $50 per person, and in 2001 that value has increased to $62.50. This per person increase has translated into an available amount of $909 million for 2000 and $1.2 billion for 2001. As a result, this legislation increases the carryforward allocation from $200 million to $300 million. Additional details of the allocation formula, established in 2000, follow. -One-third to a statewide bond reserve, for use by both State and local agencies. On or before November 15th of each year, State agencies may apply to the Director of DOB, and IDAs may apply to the Commissioner of DED, seeking unused statewide ceiling for use in future years. The Bond Allocation Advisory Panel would provide policy advice on distribution of the statewide ceiling. The five-member panel would consist of designees from the Governor, the President Pro-Tem of the Senate, the Speaker of the Assembly, the Minority Leader of the Senate, and the Minority Leader of the Assembly. This legislation provides an allocation of up to $300 million per year out of future federal bond allocations for the years 2002 and 2003, up from $200 million for 2001. Currently, Article 19-A of the General Municipal Law allows municipalities to create business improvement districts (BIDs), but does not include a mechanism for the establishment of cooperative municipalities in which one BID is established for the benefit of multiple municipalities. Such an agreement would prove especially useful in instances where a large project may benefit bordering localities. This legislation creates a framework allowing municipalities to work together to create cooperative business improvement districts. Following the passage of the original legislation, Chapter 328 of the Laws of 2001, the Assembly passed legislation (A.9446 Rules) designed to address the concerns raised in the Governor's approval memo. Specifically, this bill: clarifies the process by which two or more municipalities may enter into agreements for the joint operation and management of BIDs; requires each municipality to establish its own BID prior to entering into any joint BID agreement; authorizes the creation of a cooperative district management association to govern joint BIDS; and, provides that in the event of the termination of a cooperative agreement each BID would revert to a separate management structure. Unfortunately, the Senate has not acted on this legislation. States across America are recognizing the need to promote sensible land use planning. In New York, 174 acres of land a day are subject to development, making New York 12th in the nation for the rate of private land development. New York State has a history of leading the way in protecting the environment, encouraging economic activity and pursuing equity for all of its citizens. However, planning and zoning actions of local governments and state infrastructure funding decisions have supported a pattern of settlement and land use which necessitates expansive and expensive infrastructure resulting in new roadways, water supplies, sewer treatment facilities, utilities and other public facilities at great cost to the taxpayer and ratepayer. With this pattern of dispersed development, public investment in existing infrastructure located in traditional mainstreets, downtown areas and established suburbs has been underutilized and those areas have suffered economically. Throughout the country, "smart growth" initiatives are strengthening communities by containing sprawl, protecting our environment and promoting economic development in areas with existing infrastructure. Local governments are beginning to focus on soundly planned growth, "smart growth," through a collaborative community based effort to arrive at a workable plan generated by the community, which responds to the economic, social and environmental needs of the municipality and the region. This year the Committee continued to explore issues related to smart growth. In response to feedback from local governments across the State, smart growth legislation continues to be modified. For example, the Smart Growth for the New Century Act (A.8800 DiNapoli), was amended to offer incentives for smart growth planning including access to low-interest loans through the establishment of a Smart Growth Revolving Loan fund. The 911 emergency telephone system is frequently the only choice for New Yorkers facing emergency situations. Last year the Legislature passed legislation, A.11379 Rules (DiNapoli), intended to provide additional statewide cohesiveness within the 911 system. This legislation was vetoed by the Governor who subsequently ordered the Division of Criminal Justice Services (DCJS) to examine and report on the organization and operation of all 911 dispatching centers in the State. On May 5 of this year, the Assembly Local Governments Committee held a joint hearing on 911 Emergency Services with the Committees on Ways and Means, Corporations, Authorities and Commissions, Government Operations and the Subcommittee on Volunteer Emergency Service Emergency/Ambulance. The Assembly hearing was called in the wake of the Governor's veto to discuss the outstanding public safety issues including routing protocol, training standards and the distribution of cellular surcharges. The panel members heard testimony from representatives of numerous local government officials, wireless service industry representatives and emergency service providers from around the State. It is clear from the testimony received at the hearing that many outstanding issues remain. As wireless devices increase in popularity and are used in a variety of settings, the delivery of emergency services in a timely manner depends heavily on the ability of local dispatching of the appropriate emergency services closest to the site of the emergency. The hearing testimony reinforces findings that local dispatching capabilities vary widely across the State. In the wake of the Governor's veto, the State continues to lack statutory standards for emergency service dispatching including important issues such as: operator training, technology compatibility of dispatch hardware, radio communications compatibility and employee retention. While both professional and volunteer emergency service as a whole provide exceptional emergency service, wireless 911 calls may or may not be routed directly to a site capable of directly dispatching those emergency services. It is clear from the hearing testimony that New York can and must do better in coordinating the delivery of emergency service. New York residents have come to both expect and rely on access to emergency service regardless of state or municipal boundaries. The technology of providing these services is rapidly changing and expensive. As a result, local governments are increasingly strained to keep up with the demands created by wireless telephone technology. The Local Governments Committee will continue to work with both State and local officials and emergency service providers in order to ensure that any recommendations and proposed legislation will reflect the rapidly changing technology and advance the provision of emergency services in both rural and urban municipalities. The Assembly passed several bills during this legislative session designed to address some of these important concerns - a detailed description follows. This legislation would have distributed a portion of the Cellular 911 surcharge revenues, collected from a 70-cent monthly surcharge on cellular service, to localities currently providing C-911 emergency dispatch services. Although the surcharge is collected for the purpose of providing cellular emergency dispatch services by the State Police, the use of these revenues is not restricted and has often been used for other purposes. This legislation would have capped, or "held harmless," at 1997-98 budget levels, the amount the State Police receive for C-911 services and would have distributed any additional revenues to counties and municipalities that currently provide this service. Unfortunately the Senate once again failed to pass this important legislation. New Yorkers have become accustomed to automatically being identified by name or location when dialing 911 from their home telephones, and are often unaware that this instant identification does not apply to calls placed from wireless phones. In New York, dispatchers cannot automatically identify the location or identity of wireless callers. The Federal Communications Commission (FCC) adopted regulations requiring wireless service providers to develop technology capable of determining the identity and location of 911 callers using signal triangulation technology. These requirements, often referred to as Phase I and Phase II, also depend upon the implementation of technology capable of allowing Public Safety Answering Points (PSAPs) to decipher the information. This legislation would incorporate into State law current FCC requirements relating to the provision of signal triangulation technology for the purpose of determining the identity and location of 911 calls initiated by a wireless phone. As a result, a local PSAP could request triangulation information from the service provider and the service provider would have 270 days to comply. However, a wireless service provider would not be required to provide triangulation information if the PSAP does not have the technical equipment to utilize the information. This legislation would also require the State Comptroller to investigate costs related to the provision of the triangulation technology, as well as proposals for a cost recovery mechanism, and report to the Governor, the Temporary President of the Senate and the Speaker of the Assembly, by January 1, 2002. Unfortunately, the Senate did not act on this legislation. Section 209-P of the General Municipal Law allows municipalities to enter into mutual aid agreements for fire protection services. However, the standards involved in these agreements vary widely throughout the State. This legislation authorizes the Department of State to promulgate rules and regulations establishing statewide mutual aid standards and requirements. The rules and regulations must at minimum include acceptable timeframes prior to contacting the next available service and a standard of conduct for call relays. Unfortunately, the Senate did not act on this legislation. In 1978, the Legislature passed into law a cost of living increase and a one-year escalation for all New York State widows and children of municipal police officers and firefighters killed in the line-of-duty. The intent of that law was to increase benefits to reflect actual costs of living and prevent loss of income due to inflation; however, the law did not provide for any cost of living increase after July 1, 1979. Since that date, the cost of living has increased well over three percent each year. This statute will increase certain special accidental death benefits for surviving spouses and children of municipal police and fire personnel by three percent. General Municipal Law sections 205-a and 205-e were enacted to provide an umbrella of protection for police officers and firefighters who, in the course of their many and varied duties, are injured or killed by anyone who violates any relevant statute, ordinance, code, rule, regulation or requirement. The Legislature has twice amended the law to clarify the intended scope. Chapters 474 and 583 of the Laws of 1992 were included to ensure that the statute's remedial provisions applied to police officers and firefighters injured "at any time or place" while performing "any" duty. In 1996, the statute was amended to apply "regardless of whether the injury or death is caused by the violation of a provision which codifies a common-law duty and regardless of whether the injury or death is caused by the violation of a provision prohibiting activities or conditions which increase the dangers inherent in the work of any officer, member, agent or employee of any police or fire department." Recent court decisions appear to have narrowed the intended scope of the statute. For instance, in Galapo v. City of New York, N.Y.2d, it was held that violations of provisions of the New York City Police Department Patrol Guide, which contains the rules and regulations governing the day-to-day operations and conduct of the New York City Police Department and its members, and the violation of which can give rise to disciplinary measures against the police officers, cannot give rise to a cause of action under the General Municipal Law. If it had not been vetoed by the Governor, this legislation would have clarified that the cause of action for injury to or death of municipal firefighters or police officers could have been based on violations of internal rules and orders. Currently, in villages with populations of over 5,000, village justices are required to maintain residency in the village they are elected to serve. However, the village of Haverstraw has had difficulty finding candidates for the position. This legislation allows the Haverstraw village justice, upon resolution of the village board, to live outside the village, provided that he/she maintains residency within the State. Town Law currently requires elected officials to maintain residency in the towns they are elected to serve. However, some localities have had difficulties finding eligible candidates for elected offices. This legislation authorizes the town justice of the town of Andover, in Allegany County, to reside outside the town, provided that he/she maintains residency in the County. Fiscal planning dictates that municipalities should collect revenues to meet the needs of the fiscal year, rather than accumulating large cash reserves. To that end, the General Municipal Law only authorizes very specific instances for the establishment of reserve funds. By authorizing the establishment of a nuclear facility tax stabilization reserve fund, this legislation provides municipalities, hosting at least one nuclear-powered generating facility, with another tool to promote fiscal flexibility. This legislation authorizes the creation of nuclear facility tax stabilization reserve funds utilizing funds exceeding previous revenues received from nuclear- powered generating facilities. For example, the Town of Cortlandt and the Hendrick Hudson School District reached an agreement in December 2000, with the Entergy Corporation. Entergy had purchased Indian Point 3 from the Power Authority of the State of New York (PASNY). Prior to the purchase of the plant by Entergy, the Indian Point 3 plant had not been subject to taxation. However in what has become an increasingly common arrangement, in December 2000, Entergy reached an agreement with the Town of Cortlandt and the Hendrick Hudson School District to make certain payments in lieu of taxes on the plant. These payments will gradually decrease over time. A reserve fund will help compensate for fluctuations that would otherwise occur in cases where there is considerable up-front revenue which subsequently trails off. This legislation would allow for expenditures from the fund to lessen or prevent projected increases in real property tax levies - ensuring that tax levels remain steady even in the wake of declining revenues. School districts and fire districts as well as municipalities would be eligible to establish nuclear facility tax stabilization reserve funds. Currently, 41 other states permit government employees who are trained by the Red Cross to take paid leave from their jobs to volunteer as Red Cross disaster relief workers. Experience has shown that this has enhanced the ability of the Red Cross to respond to disasters and provided valuable skills to employees that can readily be transferred to their regular jobs. This legislation will authorize State and local government employees, certified by the Red Cross as disaster volunteers, to be granted paid leaves of absence to participate in disaster service operations upon the request of the Red Cross. However, such absences must be approved by the employee's supervisor. Chapter 466 of the Laws of 2001 made this legislation retroactive to include volunteers participating in September 11th disaster relief efforts. This legislation would have authorized the counties of Westchester, Putnam and Rockland to regulate the registration and licensing of taxicabs, limousines and livery vehicles and provide that such regulation would supercede any such local laws or ordinances of a city, town or village within such counties. The legislation would also have authorized the Counties to enter into agreements with other states or with municipalities of other states for mutual recognition of such licenses. In addition, Westchester County would have been authorized to enter into agreements with the counties of Rockland and Putnam to issue such licenses and to impose penalties on behalf of either or both counties. The Governor vetoed this legislation. Soil and Water Conservation Districts (SWCDs) act as liaisons between local constituents and state and federal agencies to solve environmental problems. New York State Soil and Water Conservation District Law specifically authorizes SWCDs to enter into agreements with other units of government for the purpose of carrying out conservation projects, and to act as the State's agent for soil conservation erosion control or prevention, agricultural water management and flood prevention. However, SWCDs are not listed as governmental units in section 99-r of the General Municipal Law and this has caused confusion and delays in project delivery. Section 99-r is intended to cover "services not regularly provided to the public as part of general government services," and stream protection, watershed inspections, wetlands permit assistance, stream bank and channel protection all fall under this purpose and are services provided by SWCDs. The addition of SWCDs to this section of law will reduce confusion and delays and will therefore help municipalities address important conservation projects. Article 5-G of the General Municipal Law permits municipalities to enter into agreements to jointly provide services. In the 1990's the New York State Department of Health informed the City of Ithaca that it must either construct a new water treatment facility or secure an alternate source of potable water for its residents. The area was already served by three major potable water systems: Southern Cayuga Lake Intermunicipal Water Commission, the City of Ithaca and Cornell University. In 1998, the three water systems initiated an engineering study to explore the City of Ithaca's options to meet the Department of Health mandate. The study, completed in 1999, concluded that the greatest levels of efficiency could be realized by integrating Cornell University's treatment and distribution facilities with those of the Commission and the City. However, under current law Cornell could not become a participant in the intermunicipal agreement since it is a non-municipal institution. This legislation recognizes Cornell's unique status and authorizes it to participate in the Southern Cayuga Intermunicipal Water Commission. This legislation adds Niagara Frontier Transportation Authority (NFTA) police officers to the list of law enforcement personnel eligible to receive additional disability coverage for injuries received in the line of duty; thereby ensuring NFTA police officers receive the same disability benefits as other law enforcement officers. Unfortunately, the Senate did not act on this legislation. This legislation authorizes counties to add probation officers to the list of law enforcement personnel eligible to receive additional disability coverage for injuries received in the line of duty; thereby ensuring county probation officers receive the same disability benefits as other law enforcement officers. Unfortunately, the Senate did not act on this legislation. This chapter extends the authority for the underwriting or sale of Erie County bonds or notes at private sale to include bonds and notes issued on or before June 30, 2002. This legislation will provide Erie County with additional fiscal flexibility by allowing them to determine the timing of their bond sales. Many municipalities in the State incurred unexpected expenses as a result of extraordinary rains. Rensselaer, Saratoga, Sullivan, Ulster and Washington Counties were especially hard hit and ultimately declared disaster areas. This legislation authorizes municipalities and school districts, which incurred extraordinary expenses as a result of flooding, to issue serial bonds to finance flood relief expenses incurred during the 2000 fiscal year. This will provide municipalities and school districts with additional fiscal flexibility by allowing them to phase-in costs over time rather than facing a large up-front cost. Many municipalities in the State have incurred extraordinary expenses as a result of snow and ice removal services in 2000. Western New York was especially hard hit - Buffalo's costs reached $1.5 million, and the Federal Emergency Management Administration declared Erie, Chautauqua and Cattaraugus Counties federal disaster areas. This chapter, and chapter amendment, authorize municipalities to issue serial bonds to finance extraordinary expenses of snow and ice removal incurred in 2000, thereby ensuring that rather than an unmanageably large one-time fiscal hit, the costs can be phased in over time. In 1977, the Legislature found that volunteer firefighters often suffered injuries or deaths resulting from heart attacks suffered in the line of duty. The Legislature also found that claims of injuries from heart attacks were often subjected to lengthy delays. As a result, the Legislature added a new section 61 to the Volunteer Firefighter's Benefit Law establishing procedures relating to the handling of such claims. This legislation extends, until June 30, 2003, provisions relating to disability due to heart disease. Many fire companies have expressed the desire to lease firefighting equipment on the grounds that it often makes good economic sense. However, Section 176 of the Town Law only refers to the purchase of equipment for the "extinguishment and prevention of fires." As a result, there was confusion as to whether or not a purchase included a lease-to-own agreement or other lease arrangement. This legislation eliminates the confusion by clarifying that fire companies can lease firefighting equipment and apparatus. Service awards programs were created by the Legislature in 1988 to encourage recruitment and retention of volunteer firefighters by providing financial incentives roughly equivalent to retirement benefits. These programs can only be established following voter approval, and any subsequent programmatic changes must also face voter scrutiny. However, volunteer firefighting organizations have complained this scrutiny has become increasingly burdensome. This legislation would strike a balance between the need for voter approval, and the need for increased flexibility in service award programs, by allowing the fire service's governing board to make modifications to the program so long as the changes do not result in the expenditure of any additional revenue. For example, this legislation would prohibit service awards programs from being modified in a way that increases the amount of points available for a given activity or decreases the amount of activity required without voter approval, but would still permit other types of modification. Unfortunately, the Senate failed to act on this legislation. In 1998, the Legislature revised the Volunteer Firefighters' Benefit Law to increase certain death benefit rates applicable to surviving spouses and dependent children. This legislation, introduced at the request of the New York State Workers' Compensation Board, corrects the few remaining gaps in recent death benefit rate increases. The issue of parkland alienation, or the conversion of parkland for other purposes, has been a great concern to the committee for some time. Case law has been established which requires that any use of public parkland for non-parkland purposes must be authorized by the New York State Legislature. As part of this Committee's on-going effort to protect the public trust as it relates to the use of parklands, and in keeping with the Assembly's policy of preserving open spaces, every attempt was made to ensure that the proposed alienation of parklands complied with alienation guidelines and adhered to the long standing policy, prior to passage out of Committee. Committee guidelines for authorizing parkland alienation include consultation with and review of information provided by the Department of Parks, Recreation and Historic Preservation. Review also includes the verification of the number of acres proposed for alienation, a review of those lands proposed to be dedicated as replacement parkland and a requirement that lands be sold at fair market value, with the net proceeds from the sale of parkland dedicated for the purchase of replacement parkland of equal or greater fair market value or for capital improvement of existing parkland. The legislation must also include a legal description of the lands being dedicated or alienated, as well as a cite of the number of acres contained within the lands being alienated or dedicated. Finally, the Committee requires a home rule message from the municipality requesting alienation prior to acting on any alienation legislation. This chapter authorizes the discontinuance of certain parklands in the town of Perinton, Monroe County. In exchange the County will receive another parcel of land for use as parkland. This chapter authorizes the town of Colonie to convey 72 acres of parkland to the Albany Pine Bush Preserve Commission for the development of a new interpretive facility. This chapter authorizes Onondaga County to transfer certain parcels of parkland along the Erie Canal to the town of Van Buren in order to facilitate further development of the Erie Canalway Trail. This chapter authorizes Warren County to convey parkland to the town of Queensbury for the development of additional recreational facilities. This chapter authorizes the town of Huntington, Suffolk County, to convey parkland to the Dix Hills water district in order to ensure the availability and quality of the water supply for customers within the water district. In exchange the town will dedicate other parcels as parkland. Rye Town Park, in Westchester County, was created by the New York State Legislature in 1907. That legislation, which was subsequently amended in 1998, restricted the sale of liquor in the park. This legislation authorizes the Rye park commissioners to enter into a license agreement with a vendor to allow the sale of liquor at the on-premise restaurant. In addition, the bill also provides that no beer or wine shall be allowed or sold except by license. This chapter amendment changes the effective date and leasee of legislation enacted in 1993 which allowed the town of Cheektowaga to lease certain parklands for use as a public golf course. This chapter authorizes the discontinuance of certain lands as parklands in the town of Chester, Orange County to allow for the construction of a new building to house the ambulance corps. In exchange the Town will dedicate another parcel of land for use as parkland. This chapter authorizes Monroe County to convey a permanent easement to the town of Webster, for land located in Webster park, in order to allow for the development of sewer connections. This legislation would have transferred maintenance and care of a cemetery located in the village of North Haven to the town of Southampton. Such transfer would only have been authorized upon the adoption of a resolution by the board of trustees of the village of North Haven. The Assembly Local Governments Committee will continue it's in-depth review of how New York State provides emergency services to all it's residents, in particular the provision of police, fire and ambulance services. While both professional and volunteer emergency service providers as a whole provide an exceptional level of service across the State, the level of support, both financial and technical, varies widely across New York State depending on the resources available to a particular area. Following a hearing held on May 15 of this year, the Committee will continue its review of 911 dispatching of emergency services at both the state and local level. The Committee remains committed to ensuring that any recommendations and proposed legislation reflect the rapidly changing technical means of providing emergency services in both rural and urban New York, as well as the financial realities of both residents and emergency service providers. The Committee will continue to advocate for the equitable distribution of local government aid. In particular, it will continue to support the adoption of equitable new local government aid programs which should provide both a stable and predictable revenue stream for local governments.